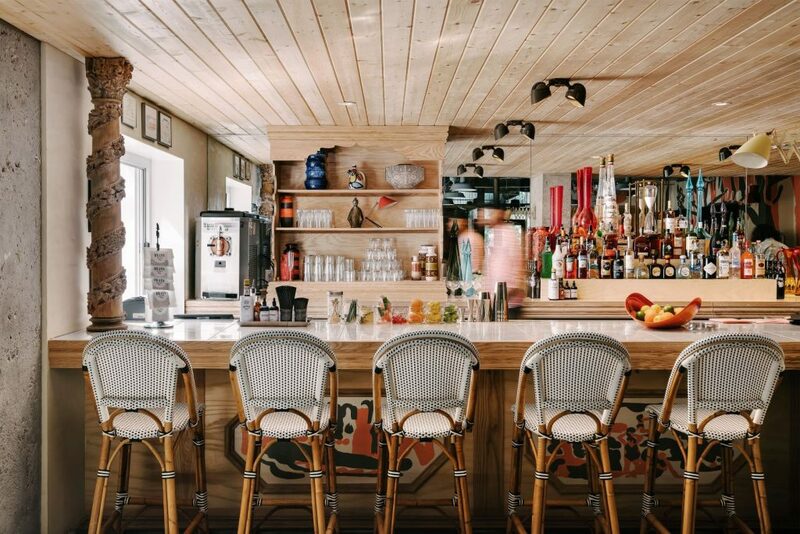 THE VIBE: Austin, Texas is quickly becoming one of the top places to visit in the United States. 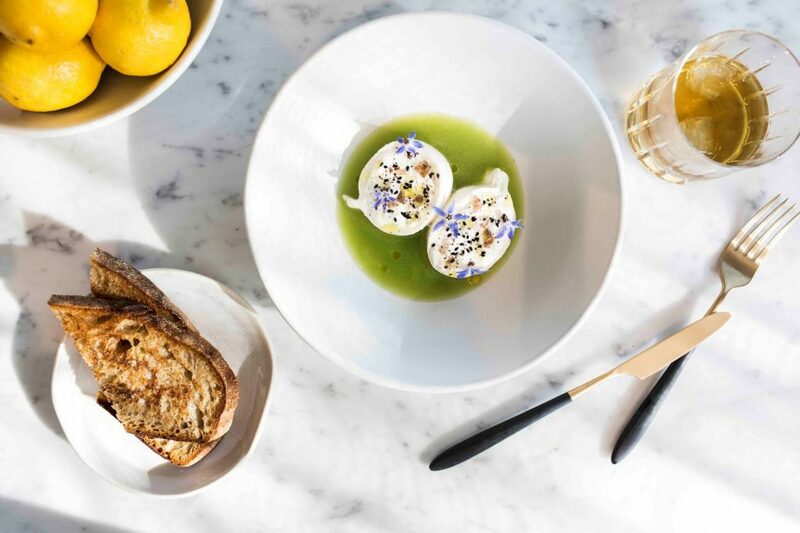 Known for its booming tech scene, emerging foodie paradise, and amazing art collections, there are many things that make this spot #WorthTravelingFor. 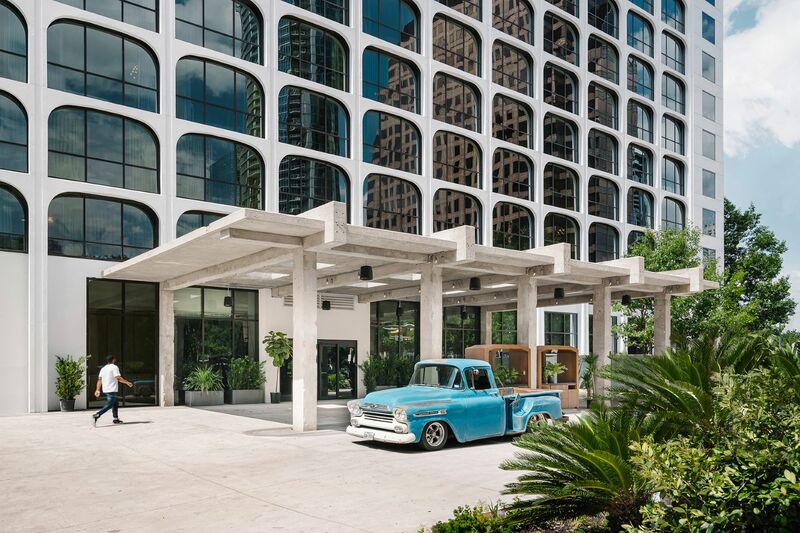 Previously home to The Crest Hotel, The LINE Austin has become a legacy in this bustling city. 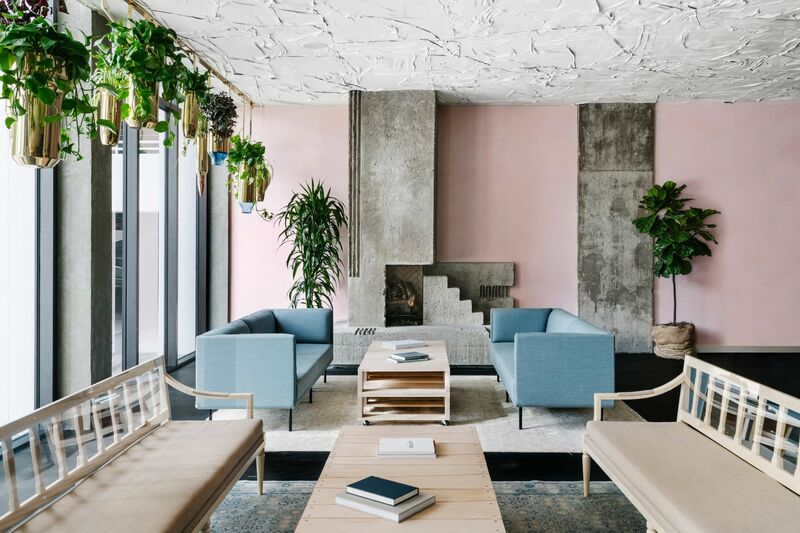 After recently undergoing a redesign by local architect Michael Hsu and LA-based designer Sean Knibb, the space now has a chic and contemporary vibe that is best described as a continuation of the youthful, yet classic vibe that Austin is known for. 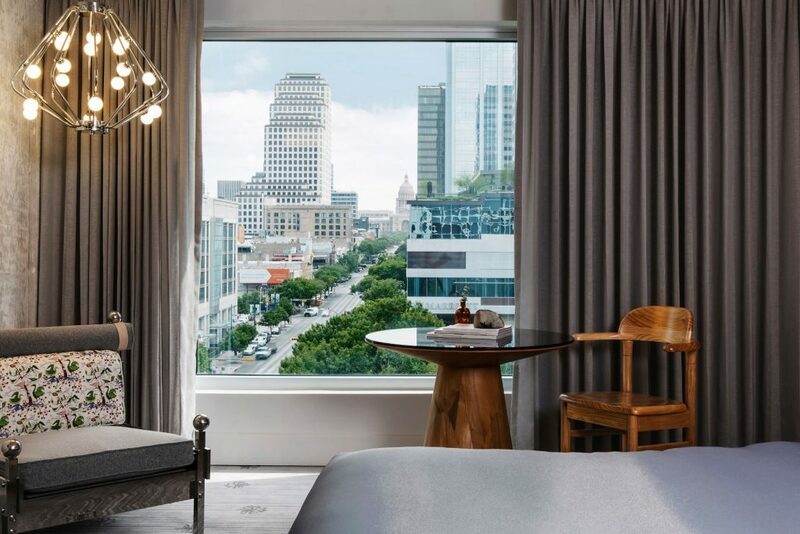 The LINE is conveniently located in downtown Austin, which means you’re waking up right next to museums like The Blanton and The Contemporary, live shows at the Paramount Theater, or a stroll through the South Congress district. THE SLEEP: If you’re looking for a solid place to rest your head at night after hitting a honky tonk, pack a bag (take your furry friend too!) and book one of the 428 rooms at The LINE. 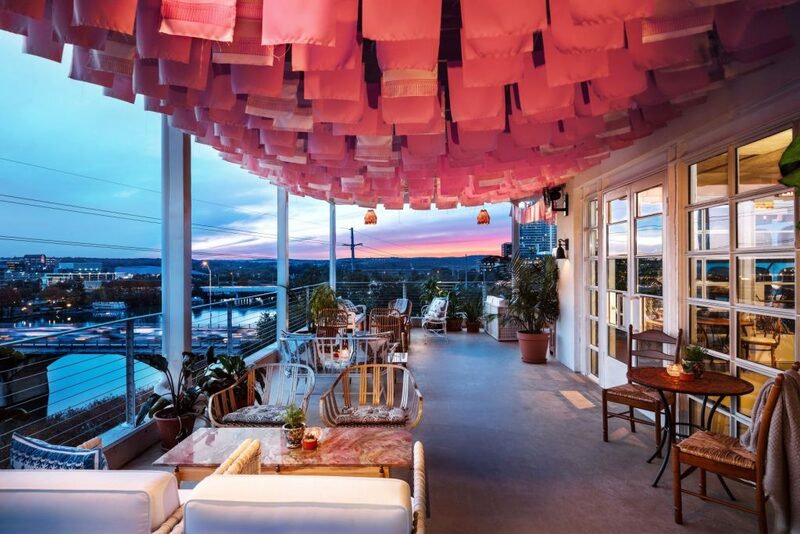 When we’re not obsessing over the custom artwork by emerging local artists, light fixtures reminiscent of fireflies, or libraries of vintage books on the history of Texas, we’re definitely fawning over the views. 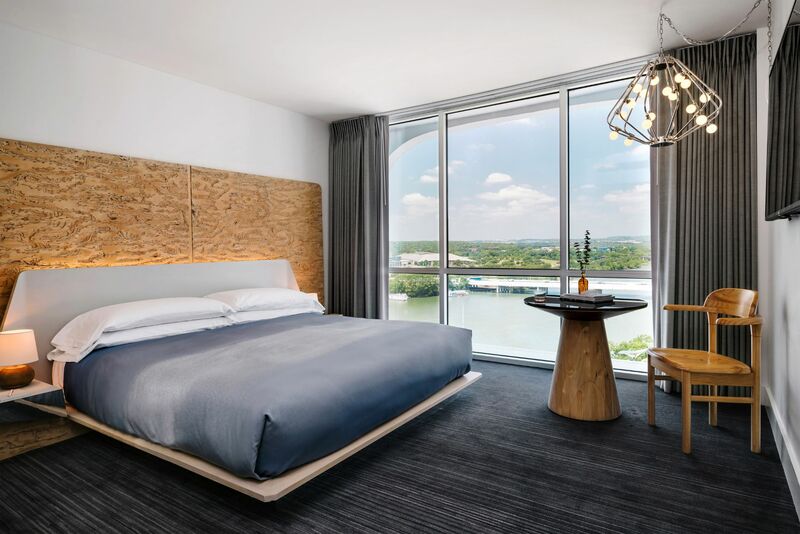 Each guestroom at The LINE has floor-to-ceiling windows, with spectacular views of downtown Austin and the serene Town Lake. 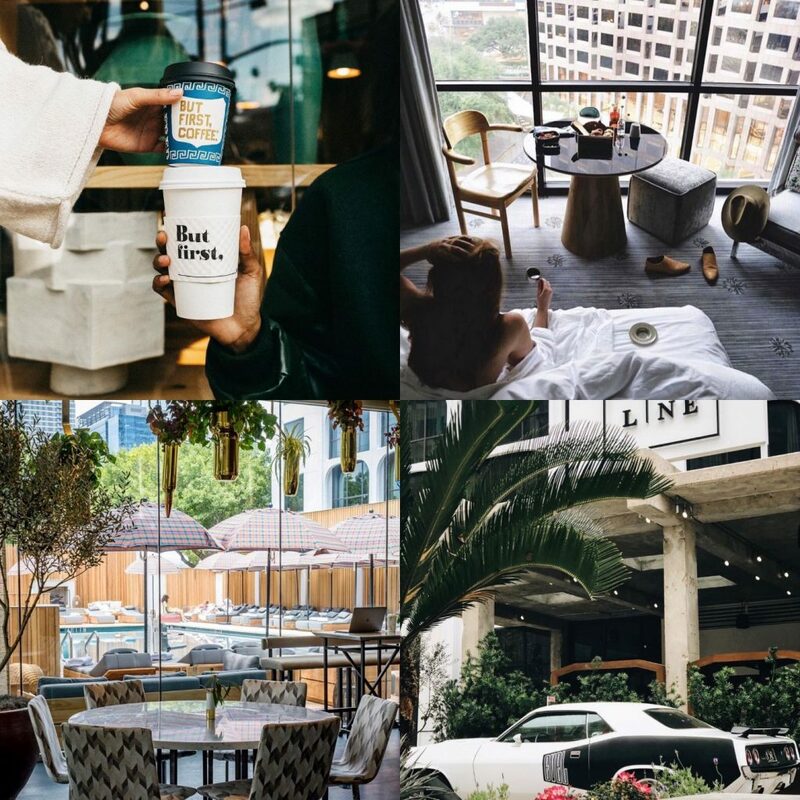 THE TONE: Spruce up your wellness routine during your stay at The LINE. Spend some time exercising at the 24-hour fitness studio, which is complete with full body exercise equipment and cardio machines. If you’re more of a group fitness person, give one of LINE’s wellness classes a try. When you’re done hitting the gym, take advantage of The LINE’s partnership with Priority; this dynamic duo offers guests complimentary bike rentals, so you can explore downtown Austin while getting in a workout. 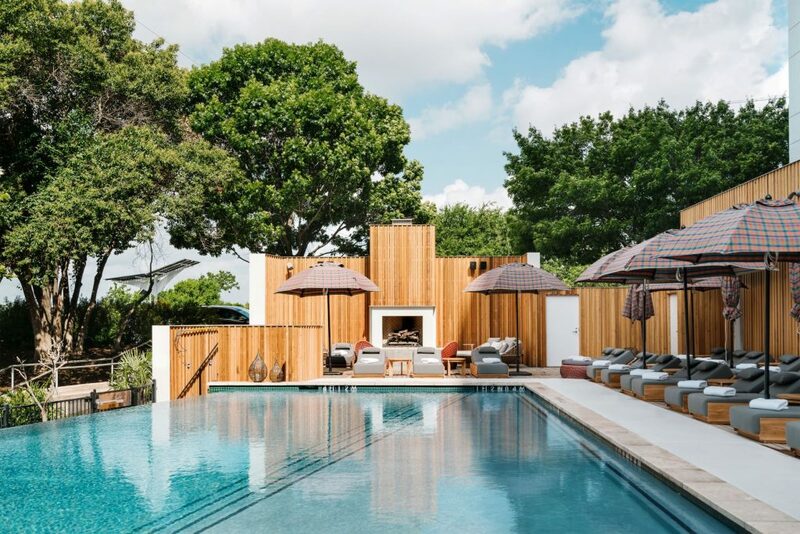 If the water is calling your name, The LINE also has a gorgeous lakeside infinity pool; so peaceful you’ll forget there’s a bustling city on the other side of the trees.